The event promoted policy recommendations, solid business models and practical tools to uncap the full potential of energy-efficiency services market. High-level speakers from the EU and international institutions discussed the legislative framework and market conditions for energy-efficiency services, including the current situation and policy outlook for the 2020 & 2030 horizons and beyond. 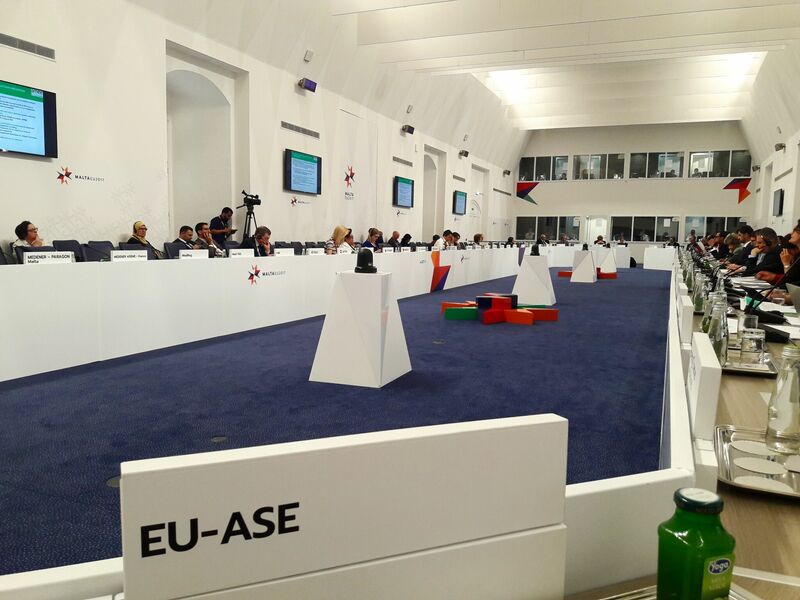 In particular, the event highlighted the cost-effective contribution of the current provision for the promotion of energy-efficiency services in art. 18 of the Energy Efficiency Directive to the achievement of the national ‘long-term renovation strategies’ proposed in art. 2a of the revised Energy Performance of Buildings Directive. During the event, a number of practical examples were presented, showing how energy efficiency service solutions, such as energy performance contracts, can be successfully deployed in order to deliver a high degree of energy savings along with further results in terms of innovation and cost-efficiency. The presentations were given on a peer-to-peer basis by the clients and providers involved in the projects displayed. The event was followed by the presentation of two practical tools for boosting the energy-efficiency services market elaborated within EU-funded projects: the European Code of Conduct for Energy Performance Contracting (EPC) and Quality Criteria for EPC. The European Code of Conduct for EPC, established as part of the Transparense project in 2014, defines the basic values and principles that are considered fundamental for the successful preparation and implementation of EPC projects. It was developed in tight collaboration between actors of the European EPC sector: providers, clients and European associations representing energy services companies (ESCOs). Since it was released, it has been a reference document in the field of EPC and the number of its signatories still keeps growing. Quality Criteria (technical and financial) for EPC are a new tool that will be developed within the QualitEE project, starting in mid-2017 under the H2020 programme. QualitEE aims at scaling up investment in energy-efficiency services by reducing complexity of such services and increasing the trust of clients and financial institutions in energy-efficiency service providers. Technical and financial Quality Criteria will therefore be developed to bring more clarity in Energy Performance Contracts, facilitating certification of energy efficiency services, thus fostering investment in this sector. QualitEE is going to complement the Energy Efficiency Financial Institutions Working Group (EEFIG) held by the European Commission. The closing remarks by market practitioners provided another brief overview of the role of EPCs, their potential and existing barriers to their further development, as well as possible ways and ideas to tackle them. 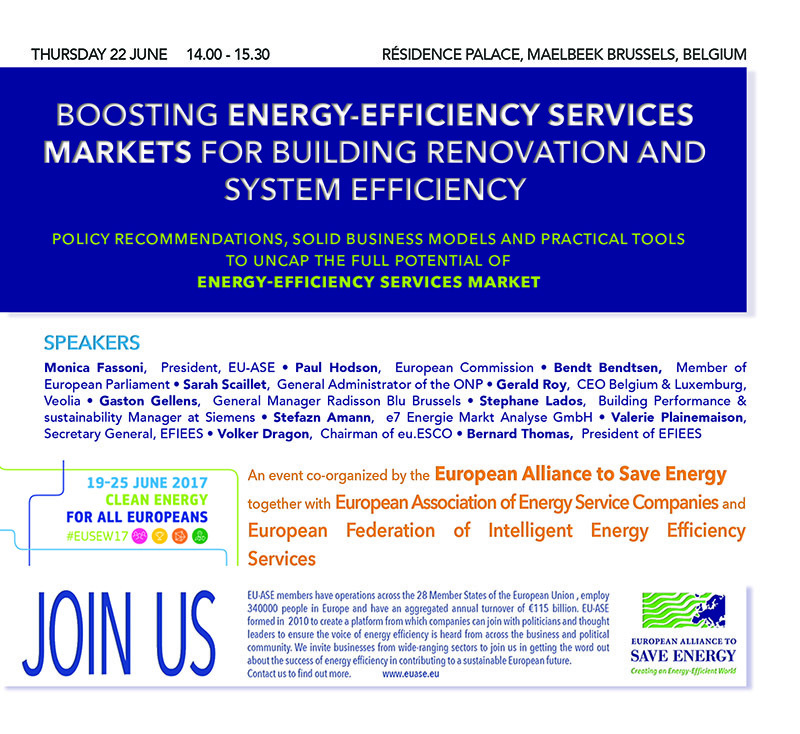 The event brought together the main actors of energy-efficiency service market: policy makers; providers of energy-efficiency services (ESCOs), public and private clients: municipalities, industrial, commercial and residential sectors; technology providers, financial institutions, academia and other relevant actors interested in boosting the market.